It is our goal to ship within 24 hours Monday through Friday, excluding holidays. During times of huge volume this goal may not be met. Most shipping is done using USPS Priority Mail or UPS Ground Service for domestic and DHL for international. $10 flat rate shipping applies to all 50 states, Puerto Rico, the US Virgin Islands, and any other US territories where USPS Priority Mail delivers for qualifying orders. Flat rate shipping will either be by USPS Priority Mail or UPS Ground and determined by KETOKERRI according to cost and efficiency. See the section below, SHIPPING TIME, for a list of shipping time frames depending on the destination state. All time frames are the number of business days expected, not calendar days. KETOKERRI is not responsible for delays caused by the shipping companies, whether it be because of weather conditions or human error or mechanical failure. If Express shipping is needed, please contact us to make arrangements. Free shipping applies to the all 50 states, Puerto Rico, the US Virgin Islands, and any other US territories where USPS Priority Mail delivers for qualifying orders. Free shipping will either be by USPS Priority Mail or UPS Ground and determined by KETOKERRI according to cost and efficiency. Where practical UPS Ground will be the preferred shipment method. See the section below, SHIPPING TIME, for a list of shipping time frames depending on the destination state. All time frames are the number of business days expected, not calendar days. KETOKERRI is not responsible for delays caused by the shipping companies, whether it be because of weather conditions or human error or mechanical failure. If Express shipping is needed, please contact us to make arrangements. If an order to Alaska, Hawaii, Puerto Rico, and any other US territory does not qualify for flat rate or free shipping and requires extra shipping then the customer will be advised at that time. Flat rate and free shipping DO NOT APPLY in these cases. Listing is by state under the service. Number of days is business days not calendar days. These are not guaranteed times but estimates of normal transit times. We do not accept returns on any opened products once the customer has taken possession of the products. Returns on unopened products may be authorized, please call or email to make arrangements. Customers who refuse to accept a package or have a package returned once it has shipped but before they take possession of the package will be responsible for the original shipping costs plus any return shipping costs. Free shipping does NOT apply under these circumstances. Please inspect your package immediately to determine whether there has been any damage or leakage. Report any damaged goods within 48 hours of receipt of your goods. We will replace defective products at no cost to the consumer. If a package is damaged during shipment, we will replace your order, and deal with the shipper for a refund. We will not accept claims for damages that have not been timely reported within 72 hours of your receiving them. 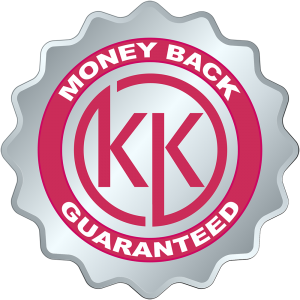 KETOKERRI uses DHL Express Worldwide for international shipping. Pricing will be generated at checkout. Tracking information will be provided at the time of shipping. Normal shipping time for DHL Express Worldwide is 2 to 3 business days. The customer will be responsible for any duties or fees originating from their government. International customers MUST provide accurate contact information so that DHL can contact you by phone and email. If you provide inaccurate information and DHL cannot contact you there is no guarantee of delivery and there will be NO REFUNDS. Below will be three lists of countries. The first list will be countries that have presented no problem and we have shipped to in the past. The second will be countries where delays may occur because of customs and the customer may have to provide information to their government but the package did get through. Finally, will be countries we have excluded because their governments are problematic. Purchases can be made by customers from these countries but must be shipped to US addresses or US based forwarding companies. Customer assumes all risk for shipments to questionable countries. We cannot guarantee your government will let the shipment through and therefore cannot guarantee delivery. Because the governments in Mexico, Central America, and South America have proved problematic to deal with, KETOKERRI has made arrangements with a door to door courier based in the US for deliveries into these regions. Your order will be shipped to this courier and then they will contact the customer with the courier costs of delivering to them. These costs would be close to what DHL would charge but the success rate will be far greater. Please follow these instructions if you are ordering from Mexico, any country in Central America, or any country in South America. Use the billing address as the address associated with your credit card. In most cases this address will be used as the final destination address for final delivery by the courier. This should be your home address where you want the package delivered. If the billing address and final destination address are different, please make sure to note this and provide us with the final destination address separate from the billing address. Once the order arrives in Texas, you will be contacted by ketokerri.market@gmail.com with instructions for payment of the courier fee and final delivery instructions. Normal transit time to Mexico is four days. Normal transit time to Central or South America is seven days. Depending on what is ordered the fee should be around $80 for smaller orders and more for bigger orders.